There’s seriously no stopping James Reid from conquering the entertainment world in the Philippines. Aside from the list of reasons why he’s girls love him, he’s really talented, has an amazing hairstyle and his fashion sense consists of simple pieces yet he makes them look effortlessly fashionable. James and his girlfriend Nadine Lustre enjoys taking pictures of beautiful views and their outfit of the days. If you want to revamp your style and wardrobe, then you need to check 16 style ideas that you should steal from James Reid. James Reid sure knows how to make any casual outfit look like he just came out from a fashion show. By pairing any outfit with a statement-making outerwear like this leather jacket, you’re not going to worry about styling your basic wardrobe essentials anymore. Keep yourself warm this season by copying this simple yet smooth outfit. Just put together your favorite sweater over a cool coat then top it off with dark jeans then you’re good to go. 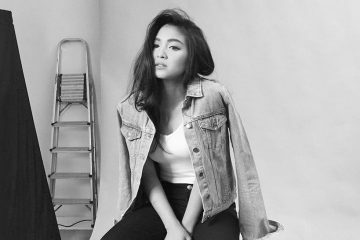 James Reid surely loves his basics. If you already have a classic trench in your closet, it wouldn’t be too hard to come up with a handsome ensemble like this one. Don’t forget to add a solid-colored black scarf to keep yourself cozy and warm. When in doubt with your outfit for the day, just go with a simple black shirt paired with your most-loved leather jacket then you’re already good to go. Just look at how clean-cut James Reid is in this getup. An oversized coat, boots and a hat can complete any outfit. Just look at James’ picture-perfect clothing choices. Not into matching suits? Try a contrasting color like a white blazer tux paired with black slacks. It’s what James wore to one of his performances on stage. Dapper, isn’t he? Wear this outfit for your outdoor activities that will guarantee to make you look athletic, cool and very James Reid. No one can sport a white-on-white ensemble like James. This getup would look great when you’re heading to beaches, attending a pool party, yacht party or any casual parties that is being held outdoors. You can still look stylish in an all-black outfit like this one but with make one accessory pop out like this maroon beanie. For beachwear, you can never go wrong with a fun, printed top to go with comfy board shorts. Look dapper in a button down shirt with a plain white tee, jeans and of course, sunglasses to achieve an effortless James Reid look. For lazy days when you just don’t want to dress up, copy this James Reid outfit – hoodie and jogger pants, very cozy especially for chilly days this fall. James enjoys layering his plaid shirts over basic plain shirts. This outfit is easy to copy you practically have all of these pieces inside your wardrobe. 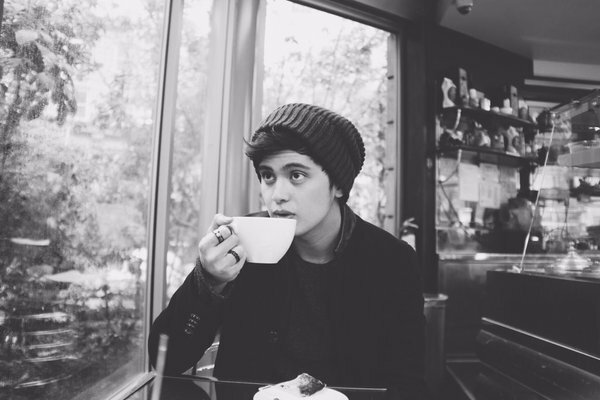 Chelsea boots and a fedora – this James Reid outfit gives us a total indie singer vibe. James Reid knows how to layer his clothes very well. Over his shirt is a hoodie and over his hoodie comes the leather jacket. A smart yet very cozy ensemble. One of our favorite James Reid casual outfits – look effortlessly suave in a v-neck tee, distressed jeans and signature sneakers. Which James Reid outfit would you like to steal for yourself?